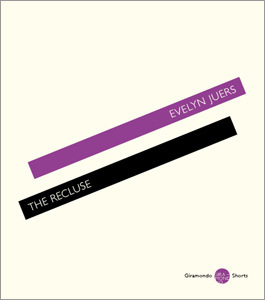 The Recluse by Evelyn Juers. Giramondo Shorts 2012. The title of this short essay hints at, but does not openly reveal, just how little will be learned about Eliza Donnithorne, the subject of Evelyn Juers ‘ investigation in The Recluse. Juers says she ‘began by wondering to what extent Eliza Donnithorne corresponded to, or had been subsumed by Miss Havisham’ (page 5). By the end of the 147th page, no definitive answer is given as to who ‘Eliza Donnithorne’ was, or why she lived reclusively . All that is clear is that the sign is emptied of some erroneous meanings with regards her being a role model for Dickens’ Miss Havisham. Fortunately, we know where the body is buried and this becomes one of the few certain facts on record and a touchstone for the piece. Many people living in the inner west of Sydney, have heard the stories even if they had not read the press reports published at various times, stating that the inspiration for the archetypal Miss Havisham had lived in Newtown near Warren Ball Avenue . After dinner conversations about Dickens masterpiece, wherein wine and amusing chat about the latest screen version of Great Expectations prompted conjecture rather than academic rigour regarding the ‘woman on whom Miss Havisham was based’ were a right of passage. Common folklore has frequently claimed that Miss Havisham had been inspired by the unmarried, reclusive and wealthy woman Eliza Donnithorne. It is this hoary old chestnut that Juers most effectively dispatches in the course of her essay. Like Great Expectations itself, a graveyard figures in the opening scene of The Recluse. Taking the bait of personal account, I was lured in, by the author’s first hand experiences in the early 1970s as a young undergraduate, with the introductory section titled ‘On the Corner of King and Queen’. As a former resident of North Newtown, who had studied Dicken’s entire works as part of my honours course in English Literature at Sydney University, I was understandably keen to find out who Eliza Donnithorne was and whether she bore any resemblance to one of the most infamously tragic figures in the canon of English literature. Like Juers a decade before me, the calm greenery of the old graveyard around St Stephens Church and its adjacent park (an open public space reclaimed from the original larger cemetery after the murder of a child during the Great Depression) had provided occasional respite from the heat and pollution of traffic laden King Street. The long- disused cemetery was an utterly benign park by the 1970s, the cool dark earth having long since absorbed its mortal contents and recycling nutrients to the rich vegetation. Unsurprisingly, the known facts of the subject’s life would come from this matter of fact site. 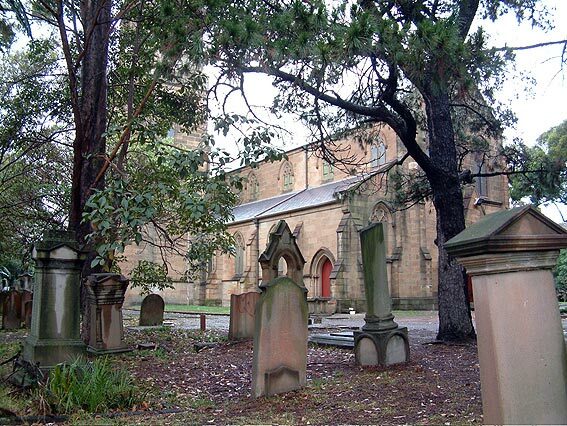 Firstly that Judge James Donnithorne and his daughter Eliza were buried in the same grave, 34 years apart and secondly, according to church records , there had been no marriage planned for Eliza – which suggest no jilting occurred in Australia. Lastly it is not surprising that two surviving members of a family which had travelled frequently between India, England, South Africa and Australia due to their involvement with the British East India Company, both found a final destination in a booming mercantile centre such as Newtown. The Donnithornes were a prominent family linked to the British East India Company, and Juers cites Karl Marx’s observation that ‘the events of the Seven-Years-War transformed the East India Company from a commercial into a military and territorial power’ (p10). The subject of her search is therefore a member of a well connected family whose members travelled in pursuit of position and wealth. That said, Juers provides more information about the company’s fortunes from the 1757 (some 15 years before James Donnithorne was born) which seems less than relevant to the subject. Also, we learn a great deal about William Wright Bampton who was a contemporary and possibly a colleague of the yet to be Governor of NSW, Lachlan Macquarie whilst he was in India. This William Bampton died in Calcutta in 1813 and it was his daughter Sarah (born 1787) who was the first legitimate wife of James Donnithorne, Eliza’s father. Whilst Sarah was Eliza’s mother, it is unlikely that she was the mother of the first two of James Donnithornes children (Henry born 1799) and Agnes Ann (born 1801) unless of course her recorded date of birth of 1787 is wrong, or she gave birth at 12 years of age. Eliza was born in July in 1821 in the Cape of Good Hope and was the last child born to James and Sarah Donnithorne. Notably, James Donnithorne’s eldest daughter Agnes was involved in an adultery scandal in India in 1822 within few year of Eliza’s birth. Judge Donnithorne and his wife were not in India at the time of Eliza’s birth. After years in various postings in India and surviving a cholera epidemic, they had travelled to other posts of empire. Ultimately, the genealogy leading to Eliza’s birth, reminds one of museum curators search for the meaning of an object being defined by it provenance rather than its own use or meaning; such a strategy works less successfully for human beings. The cemetery at St Stephen’s Church, Newtown. Other prominent family connections are made much of by Juers, including social rather than blood lines to the Thackeray and Shakespear families, even a tenuous but possible association with Charles Dickens whilst she resided in Twickenham. This seems little more than a desire to place the subject within a literary constellation. We are told that Eliza lived in Colne Lodge, Twickenham, in 1841 during the Census although, notably, the age of the subject is inaccurately recorded as 15 years of age which is younger than should have been. What is intriguing is that in 1845 Eliza came into a large sum of money bequeathed to her by her uncle William Wright Bampton, who apparently suicided. When James Donnithorne came to Australia in 1838 he assumed the title Judge, just as many emigres gave themselves airs and graces on arrival in a new and naïve country. Given he had only been a judge in India from 1807 to 1808 where he was the Acting Judge and Magistrate of Rmgarh (Ramghyr) with District Headquarters at Chatra, this was a little opportunistic. On page 56 we learn that Eliza Donnithorne arrived on 8 Mary 1846 on the Agincourt and Juers speculates that this was possible following her financial independence. From 1849 until their respective deaths, Eliza Donnithorne and her father resided in Camperdown Lodge ( which in 1884 became 36 King Street) a house leased by them despite their many properties. From the death of Judge Donnithorne in May 1852, through to the time of her own death in 1886 servants and a household continued to run – so reclusion had it limits. Genealogy is an imprecise discipline at best ; omissions and assumptions abound even in one’s own family, where at least the oral tradition of stories will counteract some of the confusion that can arise when tracing back through historic records. Admittedly, Juers notes lost times in the life of Eliza Donnithorne. For this reader, there was a vague feeling of deju vu to the extended gag in Salman Rushdie’s Midnights Children which told the story of the partition of India. Having traced a lineage of the fictional narrator for pages and pages, the joke is let out – it relates to nothing at all and I vividly recall laughing out loud on a city bus (the one time in my life I have done this), at the joke that had been pulled on me. Unfortunately, there is no great fun to be had here. It is a matter of wading through tedium and conjecture, trying to remember a web of names and characters as if to assemble the frame of the jigsaw puzzle for which the central closing piece must forever be missing. The hook for reading this book was always the borrowed glamour of the literary archetype Miss Havisham and her iconic but original shabby chic ensemble. The most useful question asked by Juers is what if any relationship did the real historic figure buried in the graveyard of St Stephen’s Church, Newtown, have on the formation of the iconic character Miss Havisham of Charles Dicken’s Great Expectations? She deftly deconstructs that myth for what it is but allows there are holes in the argument which she neatly reconciles in her use of the imagery of lace that is quite appealing on ages 116-7. Interestingly, Juers cites Rosemary Shephard’s (curator of Lace at the Powerhouse Museum in the 1980 & ’90s) view that ‘the space are the most important element of lace, that looking through a filter of spaces lends a different perspective to the view beyond’ (p117). Tilly Olsen’s Silences explored the issue of people marginalized and silence in literature, because of race, class, gender or even status. Here the subject is a single white female from a prominent family with aristocratic pretensions, yet she vanished in plain sight. Whether this was due to gender or temperament we do not know. Certainly we get to know what Eliza Donnithorne was not: she was not married nor is there any reliable indicator that she was to be married. Juers notes there were no marriage bans registered. Eliza seems to have been a well read woman who may have had the last laugh – reading of Miss Havisham and hearing talk that she had been a model for that character. What is conjured is the image of the open -doored house on the dusty main thoroughfare to Newtown village in which a wealthy woman lived who seldom ventured out but who unusually had the means to live her life on her own terms, lived until she died. The Recluse is therefore a somewhat postmodern deconstruction of the very inner west sub-urban myth that the reclusive Eliza Donnithorne was the model for the angry vengeful woman and the fulcrum one of the preeminent novels in the canon of English Literature: Charles Dickens Miss Havisham. We are never going to meet the chimera of the subject, Eliza Donithorne, who is, Juers notes, an ‘irretrievable presence’ (page5) which is not unusual in a time when women did not have the vote, seldom had property and were financially dependent. The evidence – or lack thereof –would suggest an alternative understanding of what inspired Charles Dicken’s character Miss Havisham. Claire Tomalin’s biography Charles Dickens: A Life refers to the new weekly magazine Dickens launched in 1859 All The Year Round, in which he records that by October 1860 he had begun to write Great Expectations, expected to be published from December 1860 to June 1861. ‘It did not come from research or the theatre but out of a deep place in Dicken’s imagination which he never chose to explain’ (p309). Tomalin notes that ‘Pip’s narrative is full of mysteries, not all of which are explained: for example his two visions of Miss Havisham hanging from a beam. Nor can he, or we, ever be sure how mad Miss Havisham is. She seems mad enough when he first sees her, fixed in her distress at being jilted on her wedding day, yet she decides things for herself, gives orders to Jaggers and others, controls her money even thought she chooses to let her house decay, and lives a life that is fantastical but deliberately so’(page 311). In The Recluse, Juers has explored the misread sign Eliza Donnithorne, and debunked an urban myth whilst giving us a glimpse of the world of colonial Sydney . But above all, she has drawn into high relief Australian popular culture’s need to bind art to real life, to sensationalise the ordinary and make everything personal. (The popular press do this still everyday on any number of topics). And to see Eliza Donnithorne as a model for Miss Havisham is still a furphy. A childish association revived with wonderful force in the moment of a slight action, and I fancied that I saw Miss Havisham hanging to the beam. So strong was the impression that I stood under the beam shuddering from head to foot before I know it was a fancy – though to be sure I was there in an instant. This entry was posted in Evelyn Juer, Giramondo, Issue 4, Linda Adair, The Recluse and tagged British East India Company, Camperdown Lodge, Charles Dickens, Charles Dickens: A Life, Claire Tomalin, Eliza Donnithorne, Great Expectations, James Donnithorne, Karl Marx, Midnights Children, Miss Havisham, North Newtown, Pip, Salman Rushdie, Silences, St Stephens Church, Sydney University, Tilly Olsen, William Wright Bampton by Mark Roberts. Bookmark the permalink.